Why are spiders so important to human society? 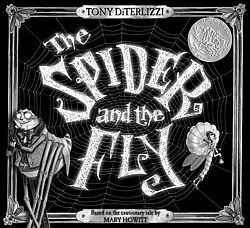 The Spider and the Fly was the most famous and known poem written by Mary Howitt. It was published in 1829. The poem tells the story of a spider that hopes to catch a naive fly by using flattery and seduction. The poem is meant to be an acautionary tale, that uses charm and flattering to disguise true evil intentions. 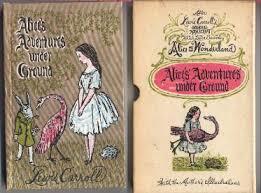 Lewis Carroll was reading the original Alice in Wonderland book that was originally titled Alice's Adventures Under Ground when she replaced an imitation style of writing from Howitt's poems. It was supposed to mimic the rhyme scheme of the original writing. The replaced piece Lewis Carroll used was the first line of Howitt's The Spider and the Fly's poem that writes "Will you walk into my parlor, tis the prettiest parlor that ever did spy." Will you rest upon my little bed?' said the Spider to the Fly. To prove the warm affection I've always felt for you? Within his little parlour--but she ne'er came out again! And take a lesson from this tale of the Spider and the Fly. Mary Howitt was the daughter of William and Ann Botham. 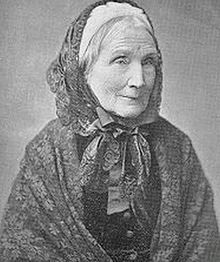 She was born Mary Botham at Coleford in Gluoucestershine on March 12, 1799. She had three other siblings: Ann, Emma, and Charles. Mary's parents Samuel and Ann were very good writers themselves. They wrote over 180 books. On April 16, 1821 Mary was married to her husband William Howitt. William was a pharmacist and owned his own business with his brother Richard. In 1823, After only a few years of being married, William decided to leave his business partnership with his brother to pursue writing with his wife Mary. These two produced poetical and other writings that contributed to annuals and periodicals. Some of those writings were selected to be publish to their book titled "The Desolation of Eyam and other Poems" in 1827. William and Mary collaborated with many popular authors of their days such as: Charles Dickens, Elizabeth Gaskell, and Elizabeth Barrett Browning. After producing a few more pieces of writing, after 1840 was dedicated to spending time with her husband William. The two moved to London in 1843. After a long glorious career, Mary Howitt passed away on January 30, 1888.